Overcast skies gave way to some brilliant color as the sun moved past the horizon on this early October evening along the Texas coast. 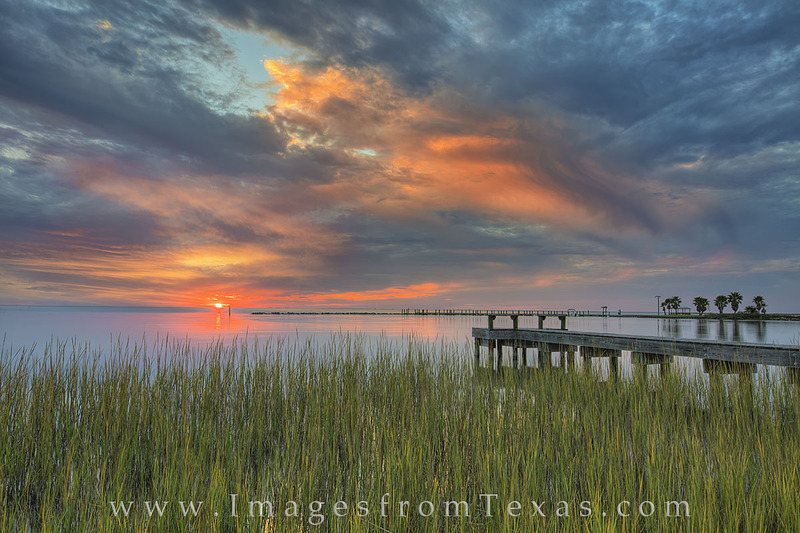 Copano Bay, near Rockport, Texas, has several little areas such as this in which to enjoy the sunset or sunrise. Photo © copyright by Rob Greebon.